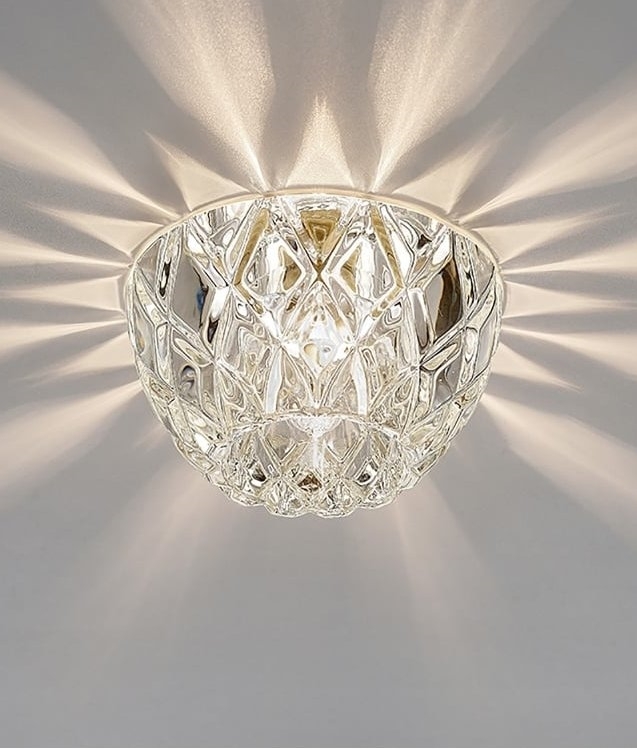 A selection of beautiful collection crystal down lights. 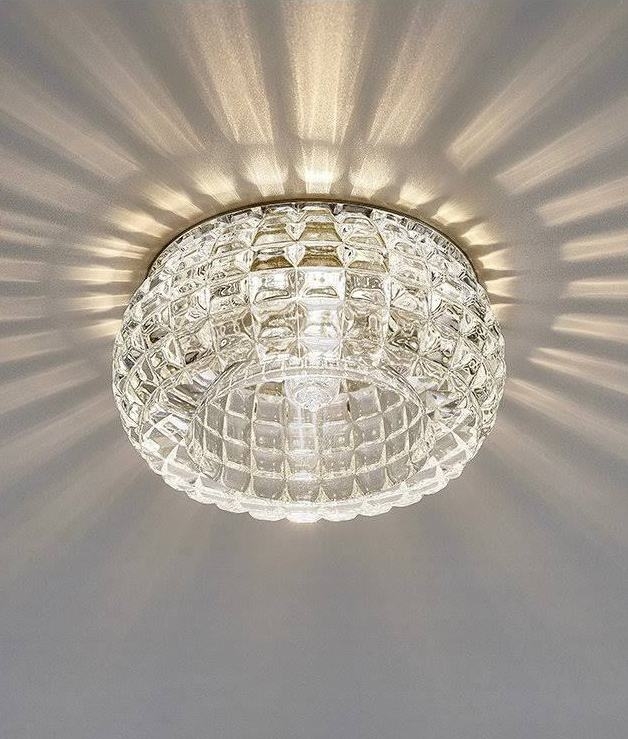 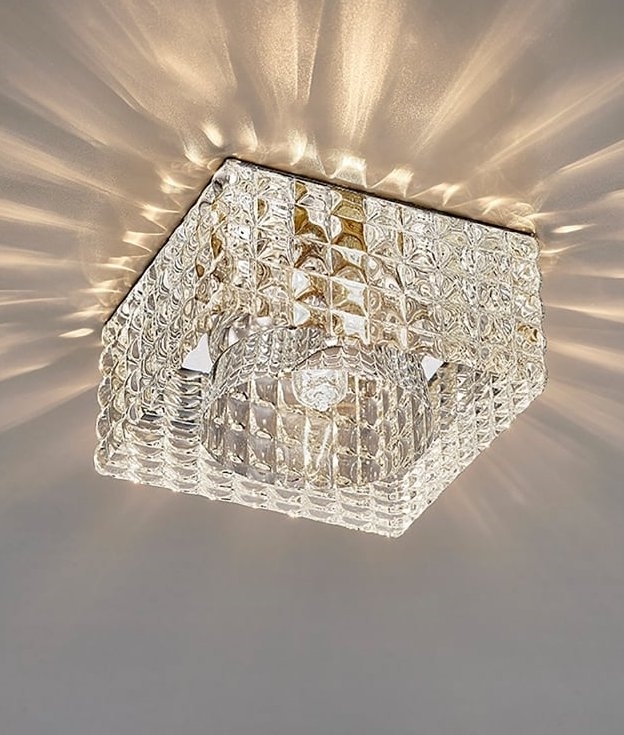 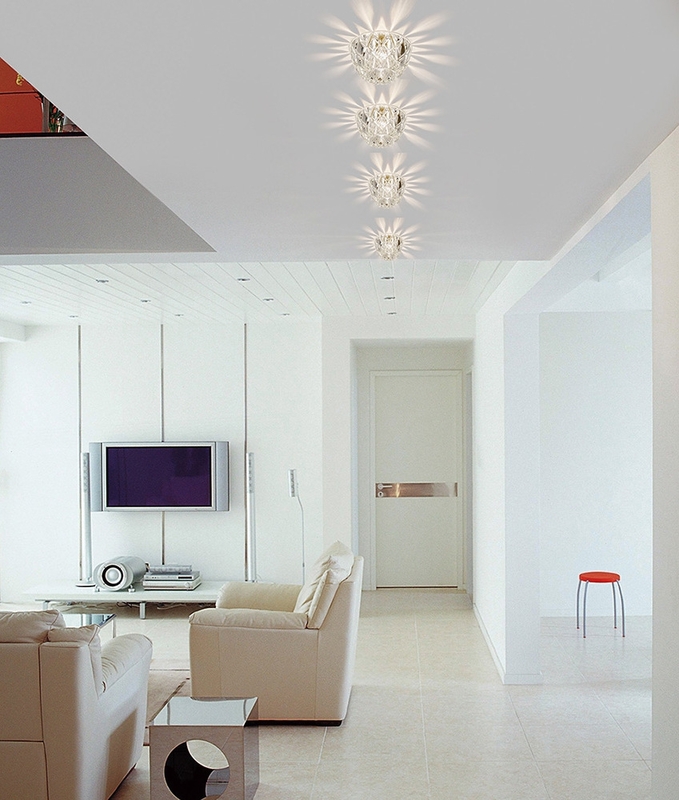 Multi-faceted, the different and distinctive shapes provdie a most interesting surface area for the light to shine across and cascade patterns on your ceiling. 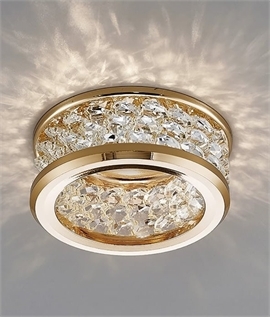 These will add glamour and interest to your home, ideal for living spaces, bedrooms, hallways and more. 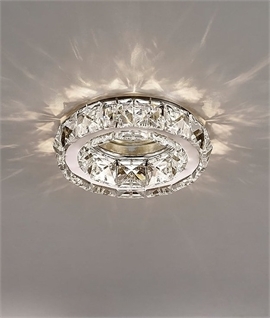 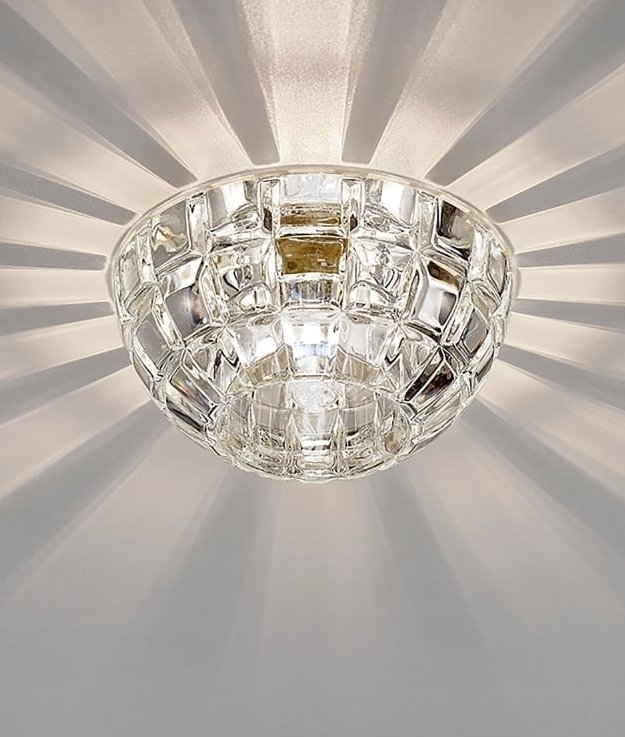 Sitting on a chrome back plate and available in four varying styles, choose dome, round, square or diamond shape. 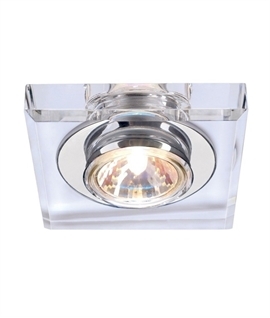 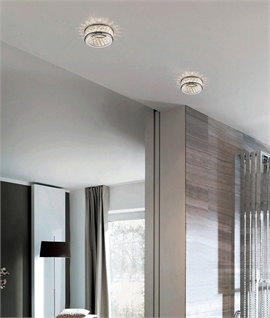 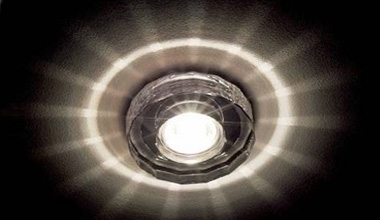 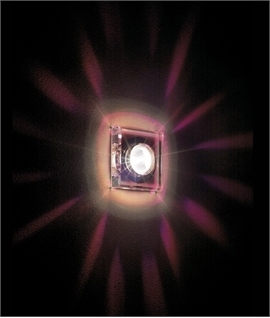 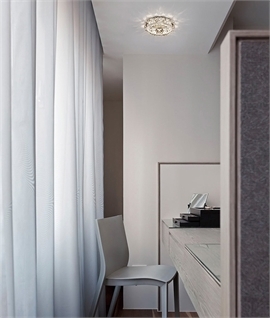 Each requires a G9 lamp, this product can be dimmed providing you choose the correct lamp.